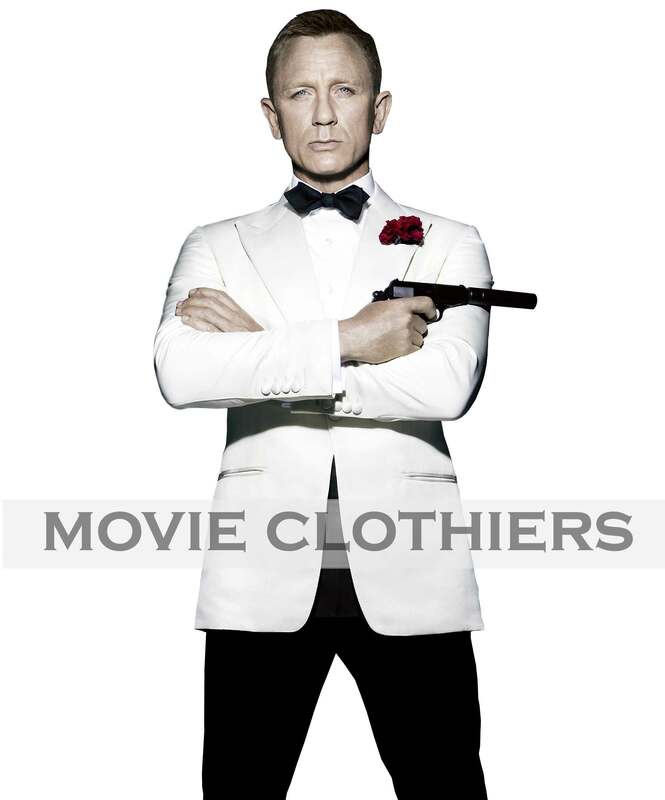 Daniel Craig back with a BANG in his recent 007 blockbuster movie Spectre for the iconic 007 role. 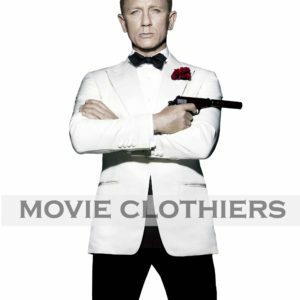 James Bond, as we all know infamous for his signature formal look just like every other movie he didn’t fail to impress his fans. 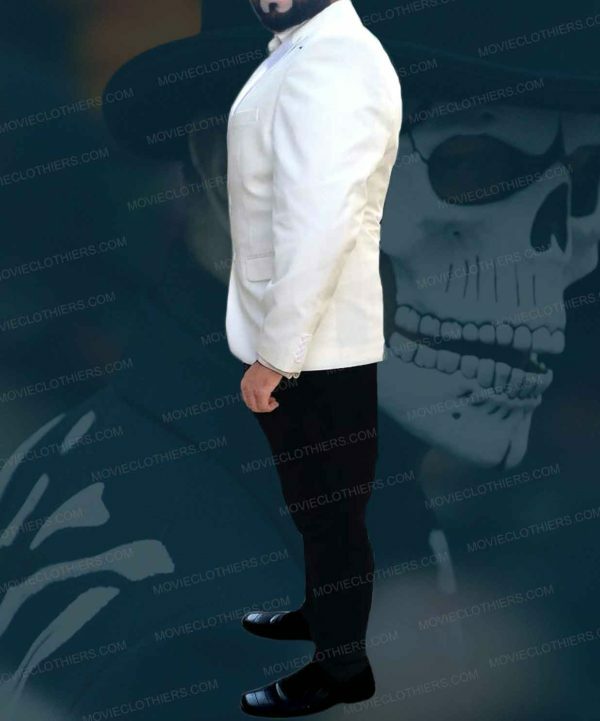 Bond wears this ivory tuxedo jacket in a beautiful evening train scene where had a battle with Hinx. 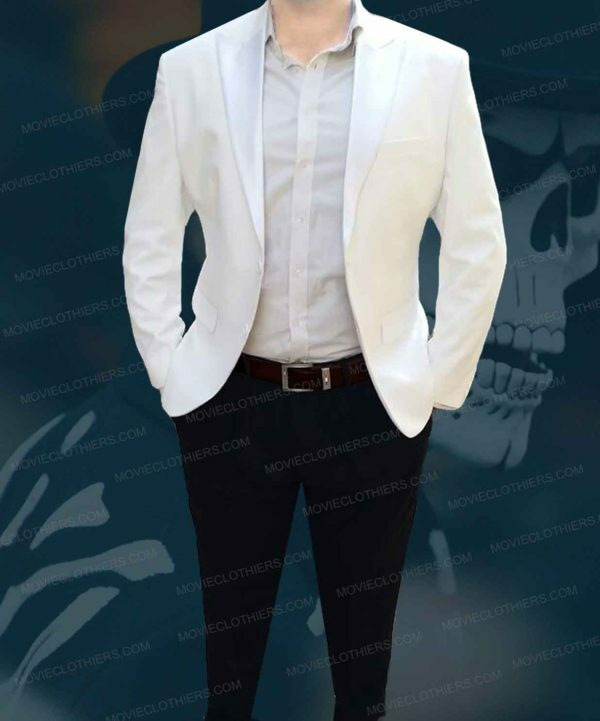 To all 007 fans who want to dress like him, we proudly present this Daniel Craig white tuxedo here at our online store at an affordable price. This Made to Measure James Bond white dinner jacket is stitched by our professional tailors using their expert skills to make it screen accurate with exact looks and details. 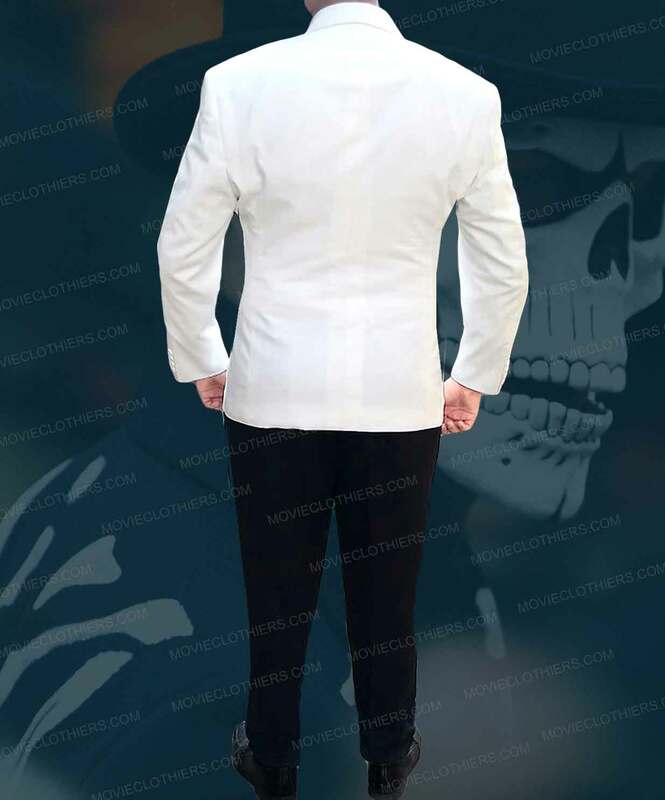 This ivory Spectre tuxedo is having a peaked lapel, dual-button fastening, four-button cuffs. The contrasting black dress pants are having hook and eye bar fastening closure, dual side pockets, two rear pockets, and cuffless bottom. 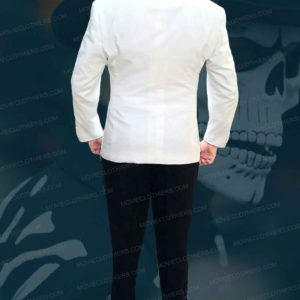 This is an excellent opportunity for all to dress like James Bond for your upcoming formal event without spending much!